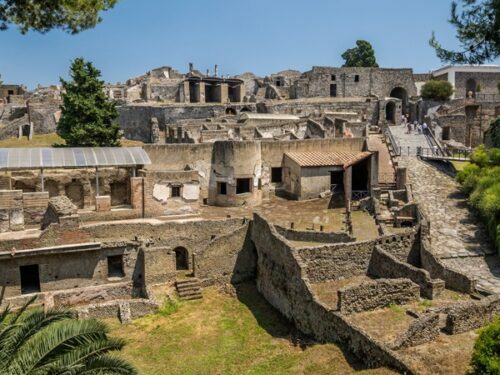 Visit the ancient town of Herculaneum, one of the lesser-known towns covered by the eruption of Mount Vesuvius in 79 A.D., on a half-day tour from Sorrento. Walk through the archeological site and see the many buildings that have been preserved for centuries, until the discovery of the town in 1709. 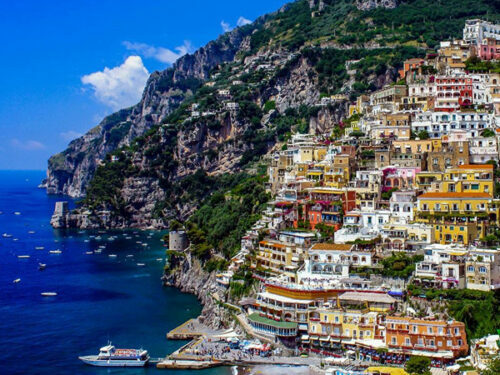 Your trip begins with a morning departure from Sorrento as you travel to Castellammare. 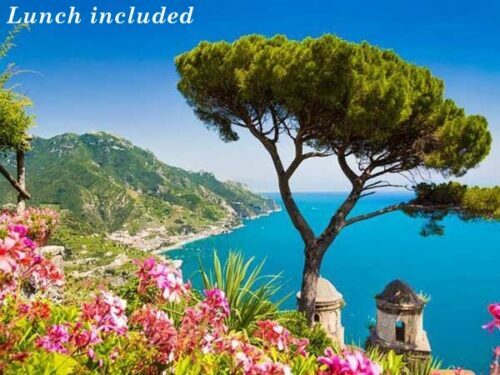 This excursion includes headsets that will be given out by the guides on the coach during the journey. Join the motorway at Castellammare and listen along as you head toward Naples, where you will arrive in Herculaneum. Upon arrival at the entrance to the site, your guide will wait for you to pay your entrance fees before beginning the tour. 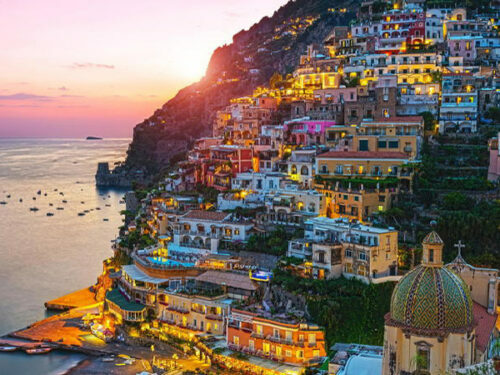 Once in, you will have the chance to view the town from above before heading down and beginning the guided tour, which lasts about an hour. 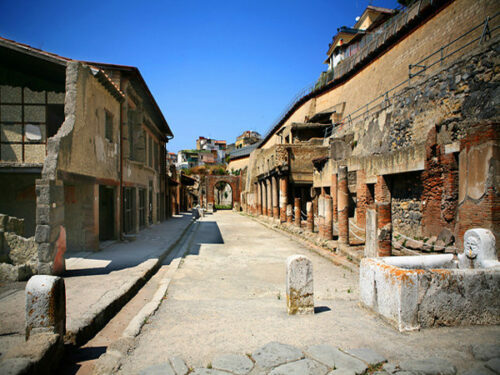 The buildings have been so well preserved that you can walk down the streets pretty much exactly as the Romans would have done more than 2,000 years ago! There are skeletons that remain in Herculaneum, but it was believed that many of the inhabitants of the town managed to successfully flee, unlike those not so fortunate in Pompeii. The tour takes in many of the most important sites, including the public baths with their frescoes and mosaics, along with the shops and gymnasium and much more. It is a fascinating tour of possibly one of the world’s best-preserved examples of a Roman residential town, brought to life by the years of study and knowledge of local guides.